New Delhi: Telecom tribunal Telecom Disputes Settlement & Appellate Tribunal (TDSAT) Tuesday directed Bharti Airtel to pay 50% of the ₹ 50 crore penalty imposed by the telecom ministry in the matter of alleged violation of license terms and conditions by the private operator for issuing bulk mobile connections. Passing an interim order, the tribunal directed the country’s largest telecom operator to pay 50% of the ₹ 50 crore penalty imposed by the department of telecom (DoT) within a period of two weeks. 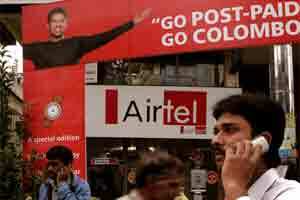 The tribunal’s interim order came over a petition filed by Bharti Airtel challenging the penalty. On 19 September the DoT had imposed a penalty on the telecom operator after it found that the company had issued 1,847 bulk mobile connections to Falcon Business Resource Pvt Ltd and 741 to Galaxy Rent, violating the terms and conditions of its license agreement. However, the penalty was stayed by TDSAT on 5 October till its further order on the plea of Airtel. “In the meantime, the respondent (DoT) may not take coercive steps to implement the impugned order dated 19 September 2011," TDSAT had said while issuing the notice to the DoT. During the proceedings, DoT had submitted before the tribunal that by issuing sim cards to the companies, which later transferred them to NRIs and foreigners, Airtel breached the security conditions of the licenses. It further submitted that the government suffered a loss in Adjusted Gross Revenue (AGR). However, the charge was opposed by Bharti, which said the right AGR was paid by the company to the government. The company had further said that the two firm selling sim cards were actually franchisees and were distributing them on behalf of Airtel.